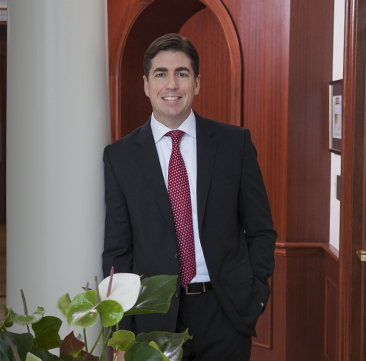 Drew Jenkins’ transactional practice focuses primarily on commercial finance, secured lending, mergers and acquisitions, and general corporate law. Mr. Jenkins has extensive experience representing and counseling financial institutions in structuring and documenting secured and unsecured lending transactions. In addition to his corporate practice, Mr. Jenkins has extensive experience representing creditors and trustees in Chapter 11 reorganizations and Chapter 7 liquidations. Based on his knowledge of bankruptcy reorganizations and liquidations, Mr. Jenkins often represents secured and unsecured lenders in workout transactions. Mr. Jenkins has represented the lenders, the administrative agent and collateral agents in debt financings and restructurings involving companies in a broad range of industries, including automobile dealerships, commercial and residential development, marine, manufacturing, restaurants, hotels, industrial, and recycling. Representation of senior secured lender against borrower and junior lien holder in workout and restructuring of over $30 million in loans owed by related automobile dealerships. Representation of secured lender in real estate in the auction and sale of borrower’s manufacturing business for $3.7 million through a Chapter 11 bankruptcy case. Representation of secured lender in workout and restructuring of $15 million loan with an interest rate swap agreement relating to a commercial marine vessel. Representation of the Asbestos Settlement Trust, which was established pursuant to The Celotex Corporation’s confirmed Chapter 11 plan of reorganization with assets in excess of one billion dollars. Mr. Jenkins was born in Raleigh, North Carolina and raised in Tampa, Florida.